House and Home Inspections ACT for all vendor inspections in Canberra. Did you know that many doing home building inspections are not registered builders? We are. Vendor Inspections and House Inspections are our specialty. We truly are motivated to help you. Try us. If you are not satisfied by our building inspections report, talk to us, and we will fix it. Our integrity is paramount to us. We inspect houses, townhouses, home units, shops, offices, and do small special inspections, and anything you might need us for. Vendor Home Inspections give peace of mind to buyers and sellers, so that they have no regrets. Most houses have no significant defects, and we can recommend sensible cost effective solutions for any problems found. We will give you excellent advice. We will give you trade contacts if needed, who are very fair. Consultation is free. Are You Selling, or Building a Home? Let us inspect your house. Call today. We service all ACT and surrounding New South Wales: Murrembateman, Yass, Goulburn, Cooma, Queanbeyan, Googong, Gundaroo, Tarago, Bungendore, Jindabyne, Berndale, Waga Waga, Cootamundra, Young, plus the coastal areas around Bateman’s Bay. We are the closest to the local ACT areas of Casey, Amaroo, Nicholls, Crace, Gungahlin, Bonner, Amaroo, Franklin, Harrison and Throsby. 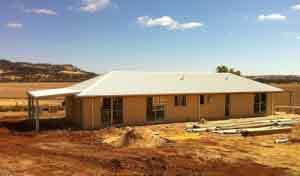 In New South Wales we are usually asked to do Practical Completion Inspections in the estate of Googong, and for any new homes outside of the Canberra Area. We also do Practical Completion Inspections all over the ACT territory. Out in the country regions of New South Wales, we get asked to inspect for buyers in all regions beyond the ACT borders and we are usually asked to provide a Building Inspection and a Timber Pest Inspection package for $567 inc GST, plus travel costs (which are low). See Inspection Types for more details. We do the standard ACT Building Inspection, Timber Pest (termite) Inspection, and the Energy Efficiency Rating Inspection, and ACT Compliance report, all for $897 inc GST. We do the traditional Pre-purchase Inspection, which is sometimes referred to as a Building inspection or a Structural Inspection for $427 inc GST. For large homes, and homes outside of Canberra, there is more detail on our pricing on this link here. We can also mediate between the home builder and the buyer if needed. We do a standard Practical Completion Inspection on newly built homes for $427, including GST. The Building Inspection is the traditional inspection of checking the structural elements and the whole of the building. Mainly this is looking for any significant defect that prevents livability. In a new house and an old house the inspection is gauged to the age of the house. An older home would not have the same standards that are applied to a new home. You apply the standards that are expected for the age of the property. Nevertheless, a significant defect is the same for any age home. With our reports come a checklist so you can see what we are inspecting against. You will also see that we apply our inspection to the roof, walls, footings, floors, structural members and so on. In addition to the structural report, we cover everything else in the home, other than the cosmetics. This will include the stove, hotplate, hot water system, lights and GPOs, taps, basins, toilets and the like. We are not licensed plumbers or electricians, but we can inspect to determine if these items work as we would if the builder. Should you need a professional electrician, for example, tell us and we will engage one for you at an additional expense. But such is not normally expected. What standard will we want or expect? One client asked us one time to do the inspection per the Golden Rule. We have been applying that ever since. This means that if we were the vendor, and if we were the buyer, how would we like the inspection to be conducted and reported? We also believe that a good inspection, which is conducted professionally, will enable a good end sale. If you were the seller, or if you were the buyer, you would both like to walk down the street a few months after the sale, and be happy that you met, and be happy that you both conducted the sale. That is what we wish for you as your inspector. These inspections are conducted along with the Building Inspection. We are trained to look for all signs of termite and timber pest activity. We will also let you know if we find borer, fungi or other timber pests. Furthermore, we will also alert you to conducive conditions that can encourage timber pests. This might include loose timber lying around, moisture in places that attract termites, and so on. The EER is mandatory for all houses, townhouses, and home units. This is an inspection that is followed up with a report which gives so many stars between 0 and 6, and also assigns a point value to the home, with regards its energy efficiency. This system then allows the buyer to gauge every house with regards his expected heating/cooling bill and energy consumption. The EER works on a computerized algorithm. The energy-rater puts in the measurements of the house, its window types and sizes, insulation, floor coverings, window curtain treatments, shadows, obstructions and so on. The computer algorithm gives the rating figures at the end. In addition to the rating result, the report will also have a list of what can be done to improve the energy rating of the home, and what that improvement will bring in point value to your specific dwelling. Once the EER is done it must be sent to ACTPLA with the right fee. The cost of this is in your inspection fee. The Compliance Report is a report on what is approved to be built there, from the government reports, and what is actually there. Often there is a difference. And if there is a difference we will advise you on how best to rectify the situation, should you wish to. The Conveyancing Package is a set of plans sent to the inspector by ACTPLA (ACT Planning Authority). The inspector first requests the plans and pays for them. ACTPLA then gather them together and send them out to the inspector. He then assuages what is on the inspecting property, compared to what is on the plans. He then writes a brief report on this, which is the Compliance Report. He also uses these plans to assist in working out the home’s Energy Efficiency Rating. Simply, we are registered builders, who provide advice to help you sell your home. In Canberra, by law, you need the full Vendor Pre-Purchase Inspection before you can sell. If you are building from interstate, or overseas, you will need house construction inspections, especially at the practical completion stage. We give good service. We are not expensive and we are professional. We know buildings. Today, on houses, using an architect is way less common than it used to be. As a result, standards have dropped. Self-policing of builders works for the ethical and well-meaning builders, of which there are plenty. But there are also a few percent who are a problem, and they need their work professionally checked. And now that the government has outsourced certification, it is even more important that the client protect himself. So we offer an inspection service throughout your entire project. We can inspect the footings as they are poured. We can then inspect the building as the frame goes up, and then after the brick skin is up, and then again once the roof is on and locked up. Then there are later inspections, depending on what you wish to order from us. This home has the frame up and the front facade bricked in. Once the inside wall coverings are in place and the ceilings are in, it is harder to tell if something has been left out of your home. That is why it is a good idea to have this inspection in its fullest. The frames and guttering is on. The Practical Completion Inspection is what happens at the very end of the building project. This is a full building Inspection. It is best done with both the client and the builder present. That way if there is any disagreement it can be gone over right there and then. 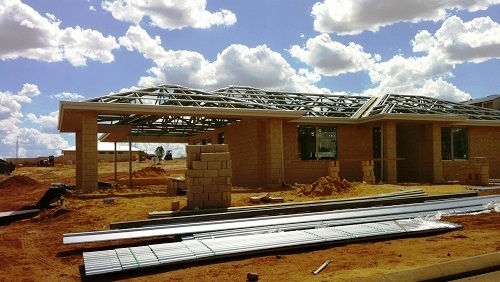 This house is at the practical completion stage. In this inspection, the inspector will endeavor to take both other parties through the building and pick up on any things that might appear complete, but are not finished. This is the time you get to find any faults, paint defects and so on, and have the builder fix them before that last major payment. In the past the inspector has found cracked tiles, electrical power points not working, lights not working, though they were approved by the certifier and the electrical corporation. On one occasion it was found the whole under-floor was not insulated when it was in the contract. And in a recent commercial project, two toilets were found missing. On another, we found that pipes were not connected to their planned outlets. All these needed fixing and were fixed. 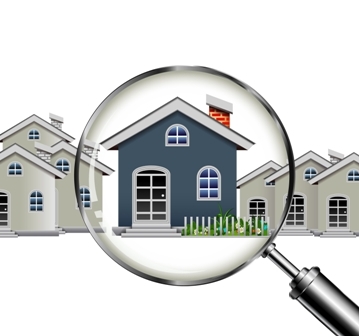 There are many types of special home inspections, and they can range in what is needed. Sometimes the owner feels the builder has been not doing a good job and hiding something. Often this is the case when we get the call out to this kind of inspection. Being builders ourselves as inspectors, it makes a difference. We can speak with the builder on his own terms and he will know that he cannot fool or intimidate us with an explanation that does not make sense. Usually, if something does not make sense there is more to know, and we ask until we are satisfied. Sometimes we get called out to inspect just one special item, such as a sagging roof, or water damage. Sometimes the work is not tradesmanlike and the owners of the house want an independent report. We supply that. Sometimes we get called out to do an inspection that gets submitted to an insurance company. And sometimes we have been called as expert witnesses for a part in court about his home. 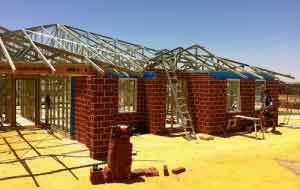 If you are contacting us from interstate or from overseas, and you are building, we certainly can help you. We can be your contact through your project. We can help with the final inspection of any units. It is important that you get an inspector for this before you take possession. The inspection report is a legal document and will be valuable for your lawyer should you need rectifications done, and usually you will. We will do inspection reports for small light commercial premises. If you are buying a small factory or something similar, often the banks state they need a professional inspection of a property they are about to finance. We do that for clients. We also inspect many shops and can help you with advice too. Feel free to order now and book online. And after the inspection, or before, if you wish to get advice from reputable tradespeople, click here.